​ It had already been several days since Kehma and the others left the dungeon. Golen's dungeon [Cave of Desires] was crowded. ​ "Village Chief Kehma, Gozoh-san and everyone's gone right now! We can make a killing!" ​ "The Village Chief always just pops up an heads in once a week, sweeps the place, and comes out with some crazy treasure… now that he's not here, it's all we can get!" ​ With those thoughts in mind, a considerable number of adventurers were exploring the dungeon in their parties. ​ Although it was true this party had always done that, they were particularly heated this time. ​ And as a result of their exploration, they found a box on the floor inside the labyrinth area. ​ This dungeon's treasures always appeared within treasure chests on the floor. ​ Suppressing their excitement, they opened the chest while keeping an eye out to their surroundings. ​ "Oooh, it's sake! There's a bottle for each of us!" ​ "Oh maaaan… it's usually only ever Village Chief Kehma or Gozoh-san getting those." ​ "Rather, the Village Chief gets them all to sell at the bar, huh." ​ It wasn't that they were upset he was holding a monopoly on it all. Actually, they were pretty grateful Kehma was so uninterested in alcohol and sold it all at the bar. ​ They wouldn't be able to drink it regularly if he didn't sell it, after all. ​ But it was expensive. ​ What they felt was more like envy towards Kehma being able to get so much of it from the dungeon. ​ Just then, a few goblins appeared. A party of five. ​ There was the sound of the air being cut. With a clang, an arrow hit the ground next to the adventurers' feet. ​ "Watch out! There's a goblin archer, protect the sake with your lives!" ​ "Again!? I mean, what's with all the fights today!? Even if they've all been goblins…"
​ "There's a group of three clay golems behind them, should we fight? Or run?" ​ "Seriously!? Dammit, lucky goblins. We'd get caught up in those golems too, let's run." ​ Having quickly decided to escape, they ran through the dungeon. ​ By the way, the goblins were divided into two types. ​ The first was the small fry goblins, the second being armed goblins. ​ It was easy to distinguish between the two types. Armed goblins held some sort of weapon and were often found in groups… Their weapons' quality were poor and their corpses were no different from normal goblins, so you could say there were no upsides in fighting them. ​ Rookie adventurers would quickly be defeated by them. Even C-Rank adventurers might fall to them if they were careless. ​ Moreover, there weren't too many victims produced by armed goblins since it was so easy to recognize and run away from them. There were even some rumors that they were only appearing to remind people to stay weary and wouldn't give chase, but whether or not it was true, it didn't change the fact that people should never let their guards down in the dungeon. ​ Due to all of that, they were able to quickly escape from them. ​ "Haah, haah… alright, looks like we got away? Man, I was getting high off that treasure, why'd so many monsters have to pop up? That's gotta be abnormal." ​ "Maybe it's a Transition Phase…? Though it could just be bad luck… oh—"
​ "Hm? Did you think of something?" ​ "… What if the Village Chief and Gozoh-san keep the population down?" ​ Yes. Kehma and the others didn't only come in for loot, but also to keep the monster population down. ​ Upon realizing that, one of them even muttered how amazing those two parties were. ​ "No, hold up. Gozoh-san doesn't kill this many monster." ​ Although Gozoh definitely showed proof of what he killed and did subjugation commissions properly, Kehma sort of just came in and did things in a bang. How much he did exactly, though, was unknown. ​ But doing the calculations backward from what they knew Gozoh killed… didn't that mean Kehma killed the most monsters by far? ​ "What the… and when we usually come in is right after Village Chief Kehma comes in to clean the dungeon…"
​ "Seriously. The Village Chief's crazy." ​ Just how many monsters was he killing with his weekly attacks on the dungeon? He even did it with a sense of flippancy, sometimes even solo. ​ … And he was dealing with that many monsters? Kehma, strolling like a walk in the park, had been dealing with enough monsters that even full parties would have no choice to run away from. ​ Although it was impossible to picture with how he usually looked and acted, now that they thought about it, even Hero Wataru said that Kehma had beaten him. ​ If that was the case, it would explain how he had the strength to deal with groups goblins and golems like it was a walk in the park. ​ "… Man, he's going to keep that monopoly." ​ "Rather, we're going to keep buying it while he keeps the monopoly…"
​ "Yeah, Village Chief Kehma's way up there…"
​ And that was how Kehma's fame rose in a group he had no clue about. ​ Within the Master Room, Rei received a report from Nerune. ​ "And with that~, they think Master and Meat-senpai were the ones killing the difference in monster numbers~, is this what you wanted~?" ​ "Yes. This is what I was hoping for." ​ Sitting in the chair that was meant for Kehma to sit in in the Master Room, Rei's mouth crept into a smile as she looked at the monitor produced by the menu function. ​ Her smile was out of delight for being entrusted with the dungeon. ​ "Fufufu, the one who shall protect Master's interests is I! Rei, the vampire! Fuhahahah! 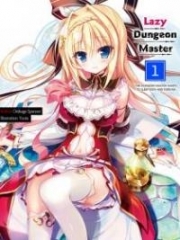 I shall perfectly replicate the dungeon as it should be during Master's absence!" ​ With that, having allowed her brewing emotions to manifest, she took a deep breath. Yeah, she felt much better. ​ Also with that, Kinue, who was standing beside her, tapped Rei on the shoulder. ​ "Rei. You're satisfied by this?" ​ "Hm? What is it, Kinue?" ​ "Rei, do you truly think this is Master's perfect?" ​ Somewhat dissatisfied, Kinue spoke. Rei's parade was thoroughly rained on, but she knew well that she could not be as perfect as Kehma. She was not conceited. She just felt a bit elated and wanted to try saying that, so she accepted the rebuke. ​ "Do you have something to share? If so, go ahead." ​ "I won't hesitate, then… Surely you don't think Master would stop at that?" ​ In other words, Kinue was saying that if Kehma truly entered the dungeon as an adventurer, the number of monsters he would have defeated could not be accounted for by their current surplus. ​ Rei noticed what she meant immediately. She was right! ​ "… It's as you say, Kinue! Nerune, please, increase production further! Double it!" ​ "Okaaaay~, I'll give it my all~! Let's kill all the adventurers~…—ah, that'd be bad~… let's half-kill all the adventurers~!" ​ "Oh? We were allowed to kill half?" ​ "Rei, half-killing means to hurt them to the extent they do not die." ​ Due to this happening, the difficulty level of the dungeon at that point was very high. ​ As it also caused the general populace to raise their evaluation of Kehma, one could say that that was Rei's intention. ​ … Whether or not that was Kehma's wish was another story entirely. ​ I figured people would be starting to miss the dungeon. ​ Also, Kehma sells the sake at the bar for the purpose of liquidizing DP into money. It's a rare kind of alcohol, so he could sell it at a price so high that it even outweighs how much money he'd need to convert into DP to purchase it in the first place. ​ He can change money into DP at any time, so he divides it evenly between Kehma and Rokuko's [Safe].